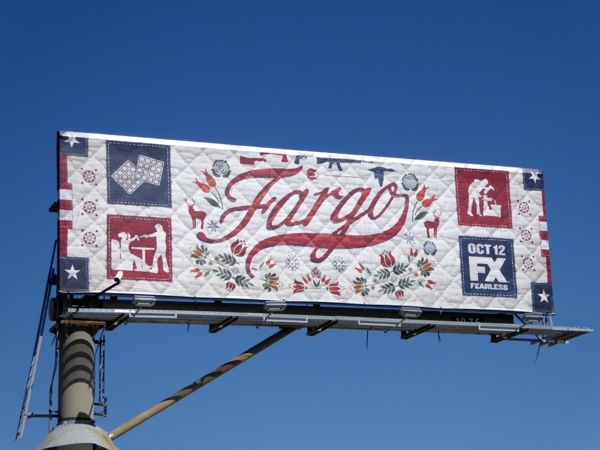 From needlepoint to quilting, the Fargo TV spin-off certainly knows how to retain the quirkiness of the show in their outdoor promo ads. 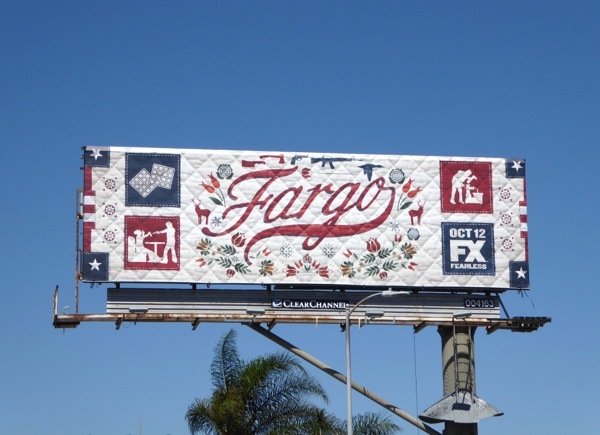 This quilt-themed key art for the sophomore season of the anthology series is not quite as rustic, quaint and old-fashioned as it at first seems, as a foot getting minced, someone held at gunpoint, plus guns and other weapons make the billboard much more macabre. 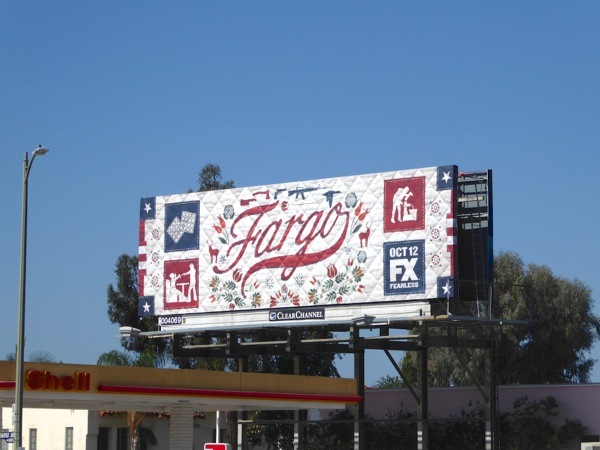 This season is set in 1979 North Dakota and features a stellar cast, including Patrick Wilson as Minnesota State Trooper, Kirsten Dunst and Jesse Plemons as a married couple who get embroiled in a war between local mom-and-pop criminal entrepreneurs and the Kansas Mob making their move in the wintery world of Fargo. 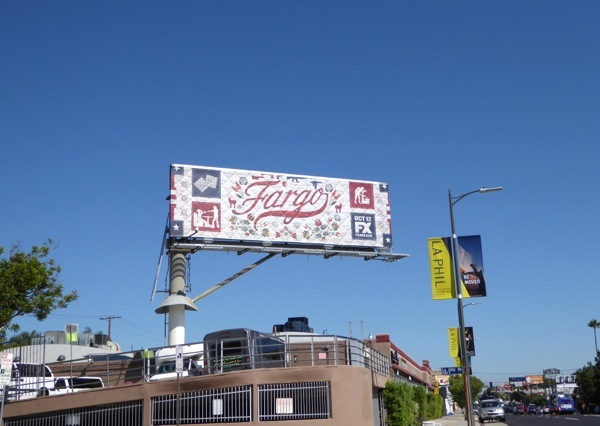 These fun season two billboards for Fargo were first spied at the busy intersection of Fairfax Avenue and San Vicente Boulevard on September 6, then days later above Santa Monica Boulevard and Pico Boulevard on September 19, 2015. 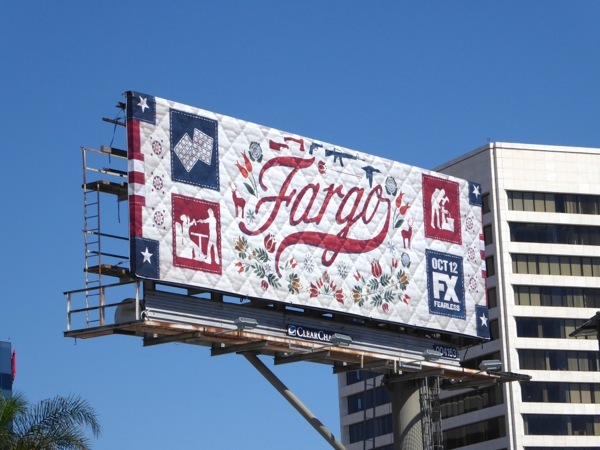 If you like this clever ad creative, be sure to also check out the needlepoint style billboard for the first season of Fargo. 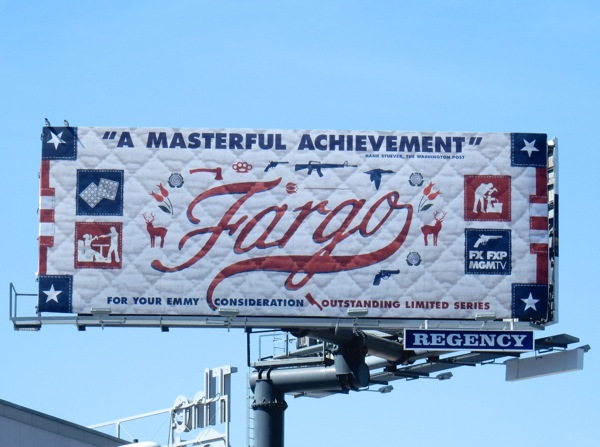 Are you ready to visit the bizarre world of Fargo for another offbeat tale? 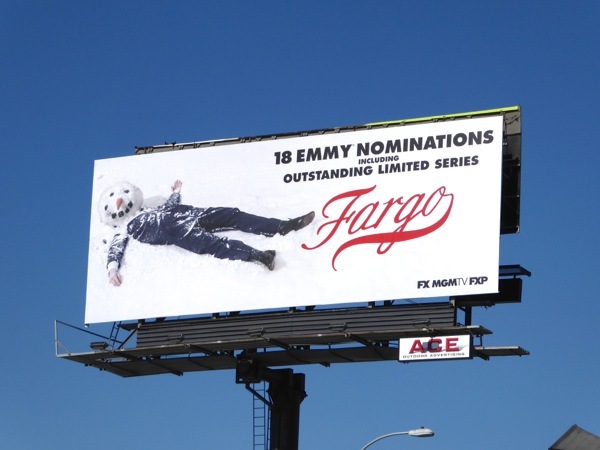 UPDATED: Here's also an Emmy consideration billboard for the second season of Fargo snapped above West Hollywood's Sunset Plaza on May 3, 2016. 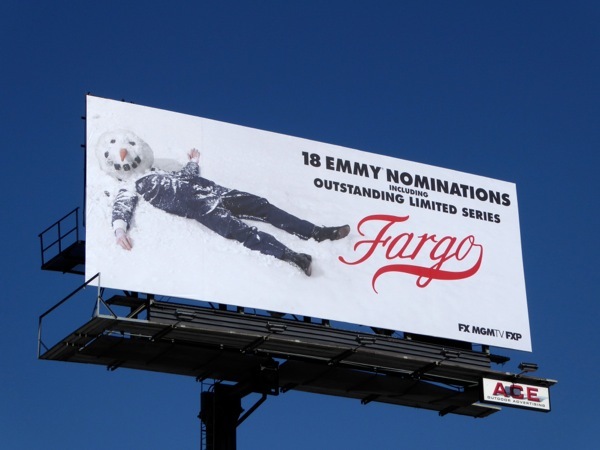 UPDATED: Fargo's sophomore season received a whopping eighteen Emmy nominations including Outstanding Limited Series and Outstanding Lead Actress for Kirsten Dunst. 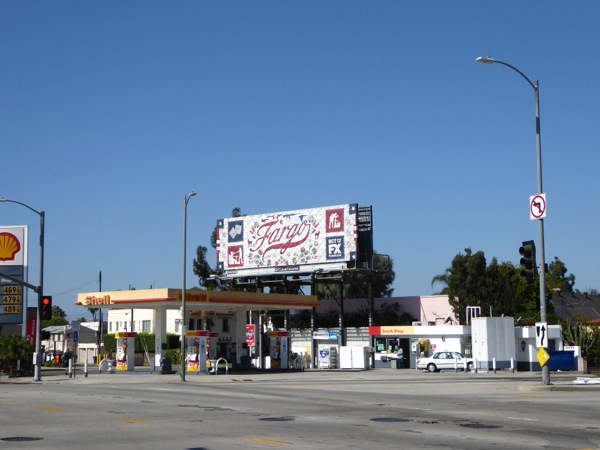 This fun snowman head billboard was spotted along the Sunset Strip on July 26, 2016 to help encourage TV Academy members to vote for the show.